Asia and the Orient have the feel of a good mystery, one you can never quite finish. Luxury travel and tours in Asia and the Orient are for anyone who took to heart Rudyard Kipling’s stories as a child, and for those who possess a richness of spirit and a readiness to engage the unfamiliar. Asia and the Orient encompass such amazing destinations including the Himalayan countries of Nepal and Bhutan as well as Tibet, China; incredible India with its dynamic cities, historic forts, heritage properties, tiger reserves, and cultural diversity; Thailand’s floating markets and hill tribe villages; Cambodia’s compelling Angkor Wat temple complex; and China’s renowned antiquities. There is still so much more to Asia and the Orient that you will discover here. We invite you to select your own storybook destination from the classic destinations here. 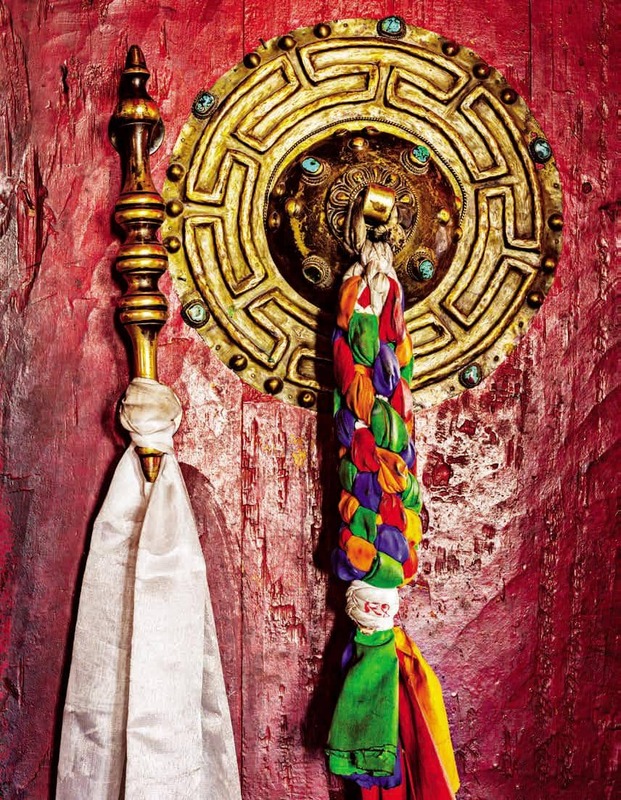 Big Five Tours & Expeditions’ award-winning luxury Asia and the Orient tours open the door for you to experience the magic and many mysteries of the Orient. Connections here are personal. Imagine stopping at the little house of Ms. Rasanjali, who smiles and waves you into her traditional kitchen. She has prepared a selection of local dishes for you. Rasanjali, like the other women in her little village, takes pride in cooking for her family and, now, for you. She cooks with homemade spices and tailors the amount of ‘heat’ – hot or mild – to your tastes. She carefully prepares fresh-picked vegetables, and fish and meat from the local market. You join Rasanjali and her family to savor the authentic flavors of the island cuisine as you swap stories, and share laughter. You began as strangers and part as friends. That is Sri Lanka. On this adventure, you explore Sri Lanka's natural and cultural history that rediscovers areas of the islands such as Jaffna that have been seldom visited for decades. Savor home-cooked meals in private homes, tour Jaffna by bicycle, look for leopards in Wilpattu National Park, and climb the fabled rock fortress of Sigiriya, Discover the culture, religious traditions, history, nature and the welcoming people of Sri Lanka. The northern part of Sri Lanka has been off limits for decades and the infrastructure hasn’t been ready for tourism. Recently, however, much has changed. This program takes you to the known areas such as the Cultural Triangle and blends that with the untouched north and adds in special inclusions along the way that really show you why this is a trending destination for the future. 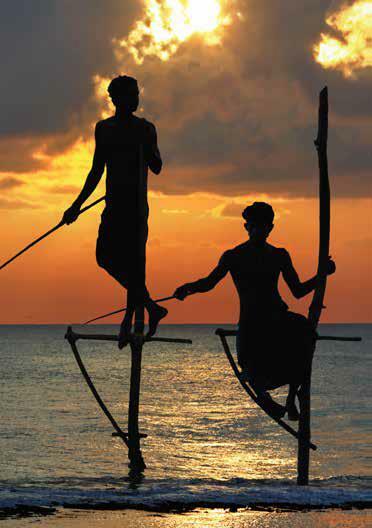 Sri Lanka offers the traveler so much more than just a day at the beach with its rich cultural history, wealth of temples, tea plantations, rubber tree forests and rice paddy fields as well as unique endemic wildlife. In art school, I was introduced to the work of photographer Margaret Bourke White. She had a phenomenal talent and passion, and she was absolutely fearless. That fearlessness led her to become one of the leading photojournalists of the 20th century and one of my heroes. She had a long list of ‘firsts’ in her career – both as first photographer and first woman. She was the first photographer to have a cover photograph on the first issue of Life magazine in 1936. Among her most iconic images are those of Mahatma Gandhi at his spinning wheel in 1946. She spent two years in India photographing refugee families flooding into Delhi, women going to the village well and grass sellers as well as portraits of more prominent figures such as Jawaharial Nehru. She sought to portray every level of Indian society in the 1940s and left a powerful visual, historical record for the rest of us. I believe she would be thoroughly at home in India today, pointing her camera into the corners of 1,000-year-old grottos, or photographing tiger conservation projects, or flowers floating in the sacred Ganges at a twilight Ganga aarti ceremony. This highly original India family adventure is the first of our Kids Kouncil ™ Approved journeys. It has been reviewed by the junior board members of the Kids Kouncil, and encompasses a variety of experiences from tracking tigers in Panna National Park, to a visit to a one-of-a-kind museum, to a family Segway tour through New Delhi. 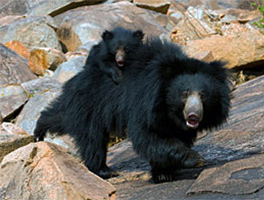 This adventure takes you off the tourist routes of India and into the woods and jungles to explore the rich wildlife and landscapes that are the home of endangered species such as royal Bengal tiger, Asian elephant and sloth bear. It takes you into rural villages and communities for rewarding encounters. You will long remember this journey into India's wild places. Southern India offers a wealth of cultural and religious heritage that dates back to the 6th and 7th centuries and represents India beyond the Maharajas. This region of India also represents the best example of sustainable tourism. From Bangalore's 16th-cnetury Tipu’s Palace, to Hampi, seat of the fabled 14th-century Vijaynagar Empire, to the fascinating Cave Temples of Badami, you explore the richness of Southern India. Experience India’s first luxury mobile tented camp in stunning high latitude settings while exploring the towns and villages of the northern province of Ladakh. On this journey, you can participate in a traditional sunrise prayer ceremony at a monastery and explore Nubra Valley and the village of Turtuk, the only place in India where you can witness the centuries-old Balti culture. Experience the Ganges at sunset and witness the Aarti Ceremony at Parmarth Niketan. Explore the striking spiritual ambience found in Haridwar. Rajasthan is home to rich traditions and customs that capture the very pulse of North India. Witness an aarti ceremony along the sacred river Ganges, where prayer ceremonies are performed with passion and few tourists are found. Explore the open-air bazaars of Jaipur. Take a local train between Jodhpur and Udaipur and up the scenic Kambli Ghat Pass. Go on Jeep safari into the countryside around Jojawar. This is authentic India. Step off the well known trails to carve out a one-of-a-kind travel experience that is uniquely yours, Northeast India is home to more than 200 ethnic groups, each with its own tribal language. This journey takes you into villages rarely visited and offers a wealth of cultural encounters with traditional people who still operate under the tribal system. Most of these people can trace their history directly back to Southern China, which you will see in their faces and in their handed-down traditions. Explore India's natural wonders on this dynamic adventure that includes two days in each Tiger Project areas - Tadoba National Park and Pench Tiger Reserve - on safari in search of Bengal tigers as well as leopard, sloth bear, gaur (Indian bison), rusty spotted cat, spotted deer and sambar. Savor stays in luxurious tented camps, including a night in the outdoors on a Star Bed. Discover the nature of India. This journey explores one of the oldest world religions, Jainism. The adventure also celebrates the home state, Gujarat, of India's Prime Minister Narendra Modi; and includes rich cultural encounters that include meeting with one of three families known for their unique textile art. Enjoy the rich variety South India has to offer from high-tech Bangalore, to the wildlife haven of Nagarhole National Park. Take in Chikmagalur, an important Jain pilgrimage center with its colossal, 10th-century statue of Gomateshwara. Experience the quiet charm of Mysore’s verdant gardens, tree-lined boulevards and sacred temples, and savor an overnight river cruise on the backwaters of Kerala on your own private, traditional houseboat. North India presents a remarkable wealth of culture, history, heritage and majestic architecture to explore. As we drive out of Penang, we stop at the Snake Temple, constructed in 1875. It honors a Buddhist monk, Chor Soo Kong, who was said to have great healing powers and he sheltered snakes. Legends claim that when the temple was completed, snakes entered and never left. We walked passed a large, gold-colored incense burner, thin smoke from newly lit incense sticks carried the familiar heavy scent on the air. We removed our shoes before entering. Branches fashioned into the shape of trees and planted in tall vases that look like umbrella stands, are festooned with snakes coiled around and on top of each other. All alive but languid. The green, black and yellow snakes, we’re told, are pit vipers. Very poisonous, they warn. In the Main Prayer Hall, smoke from the incense fills the space that some people claim paralyzes the snakes. In a bowl are eggs – food for them. It’s said that the snakes eat at night and have never once bitten a person. Worshipers call the snakes officers of the deity and regard them as both holy and harmless. As we leave the temple, I think about my own concept of holy. Indonesia's Forests, Beaches and Traditional Cultures explores the world of orangutans and allows you to spend some time in the company of these extraordinary animals. 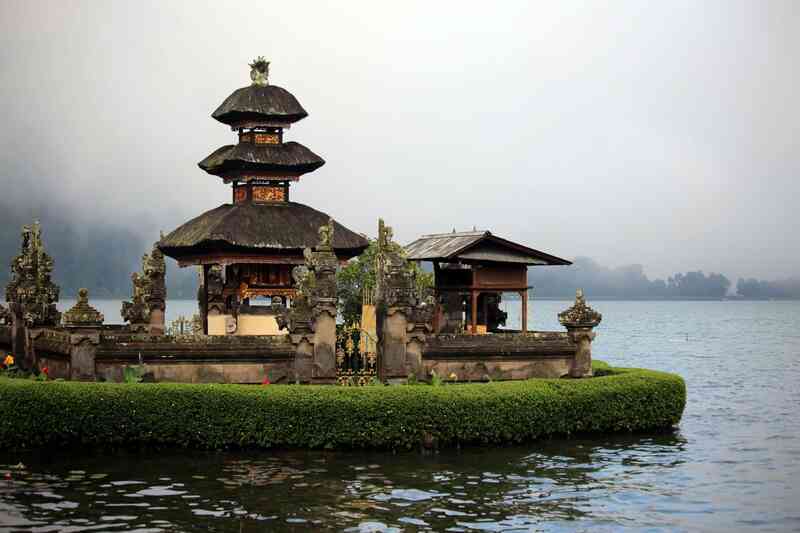 Discover the rich cultural tapestry and important historic Hindu temples of Bali and Ubud. Venture out on a thrilling helicopter exploration over villages, deep river valleys, beautiful picturesque rice fields and the volcanic Kintamani Caldera. This is a spectacular Indonesian experience. Explore Indonesia, a country of islands… more than 17,000 islands that encompass a world of cultures, pristine islands, unique and rare wildlife, and adventure activities from exploring cave systems to spectacular diving.